Frauke Petry, the face of the AfD in Germany, is apparently thinking about resigning from politics. 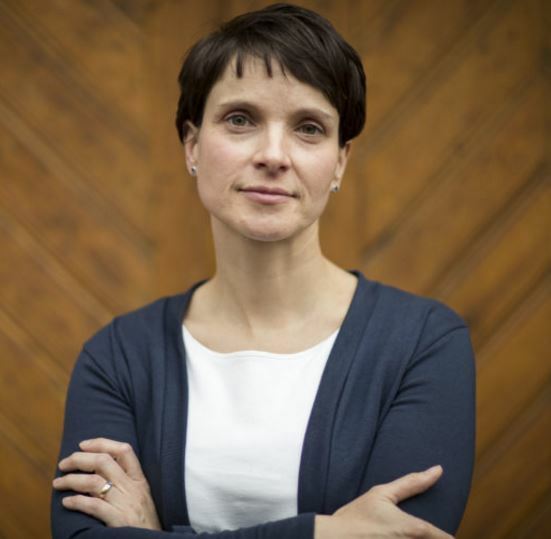 She has stated publicly: “Neither the politics nor the AfD are alternative for me.” The 41-year-old politician spoke of an “enormous expenditure of force” and the “farewell to a regular life” being in politics. The polls at the end of February showed that Merkel’s Christian Democratic Union of Germany (CDU) and the Christian Social Union in Bavaria (CSU) were holding 31% just behind Mr Schulz’s Social Democrats (SPD) with his ‘Deutschland Trend’ theme that came in at 32%. The AfD is polling only about 11%. The real crisis for Germany is the fact that either Merkel or Schultz offer any change. As such, we really cannot expect to see any reversal of fortune for the EU. We have to simply let this play out. It appears the crisis comes to a head in 2018. We have to keep in mind that the worst scenario for Europe is no change. The loss of the challenge in the Netherlands breathed relief in Brussels. They think they will hold the ship together and this “populist” movement will die-out. The problem is this trend is emerging simply because of economics. The AfD has only a 15% chance of winning. That would only be possible by a major issue surfacing this summer regarding the Islamic Invasion. The no change means no reform and that means the fuse is still burning.